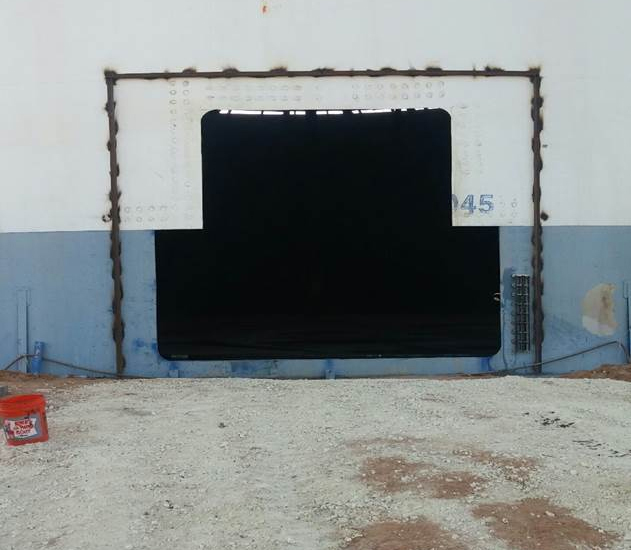 EISCO was recently employed for an asphalt tank cleaning project in Perth Amboy, NJ in which we had to cold cut a 12’ x 12’ door sheet into the tank in order to gain entry and manually remove product from the tank. EISCO utilized a 40,000 psi water cutting unit with remote cutting head to cut the door sheet and we made the door cut according to API 653 spacing and radius requirements. Upon completion of the bulk removal of asphalt pitch, EISCO continued with more hydroblasting services. EISCO cleaned the internal tank by hydro blasted the floors and walls to 6’ utilizing a 40,000 psi hydro blasting unit.